Achieving greatness is no easy feat. It takes Service, Pride, Integrity, Respect, Dedication, and Teamwork. Here at SAP Center we achieve greatness. SAP Center team members are the ambassadors that represent the diversity and authentic spirit of San Jose and the Bay Area. We pride ourselves on being members of a special community that are committed to bringing people from all walks of life together. 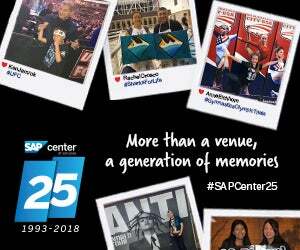 Being an SAP Center team member is a commitment to exceeding guest expectations in which a community unites to provide the best in professional sports and entertainment. We are unique, we are great, we are…SAP CENTER. The Sharks Sports and Entertainment organization mission is to Build and Operate a World-Class Sports and Entertainment Business with a Championship Caliber Hockey Team as a Foundation. The work environment at SAP Center is like no other. SAP Center team members work in a fast paced and dynamic environment. Every event offers a new experience from Sharks Hockey, to the most talented artists in the music and entertainment industry. The work schedule is as flexible as you are. You are scheduled to work only when you make yourself available. 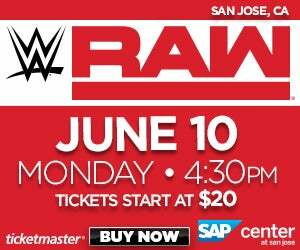 SAP Center provides free parking and ½ off food and beverage when working events. As an SAP Center team member, you will have the opportunity to witness some of the greatest moments the sports and entertainment world have to offer. All job listings for internships and full-time positions can be found at teamworkonline.com.